Kyorin University School of Medicine - Professor Junji Furuse M.D., Ph D.
TOP > Our Division > Staffs > Professor Junji Furuse M.D., Ph D.
Junji Furuse M.D., Ph D.
Chemotherapies in Hepatobiliary, Pancreatic and Other Digestive Cancers. Professor, Department of Medical Oncology, Kyorin University School of Medicine. Chief physician, Inpatient Division, National Cancer Center Hospital East. Research fellow, in Thomas Jefferson University (Philadelphia, PA). Staff physician, Department of Hepatobiliary and Pancreatic Medicine, National Cancer Center Hospital East. Staff physician, Division 1 Internal Medicine, Chiba University School of Medicine. Chiba University School of Medicine, Graduated. Delegate of hepatobiliary and pancreatic subgroup, of the Japan Clinical Oncology Group (JCOG). Director, Council and interim supervisor, of the Japanese Society of Medical Oncology. Director and Council, of the Japan Pancreas Society. Board Certified Member and Supervisor, of the Japanese Society of Internal Medicine. Board Certified Specialist and Supervisor, of the Japanese Society of Gastroenterology. Board Certified Specialist, of the Japanese Society of Hepatology. 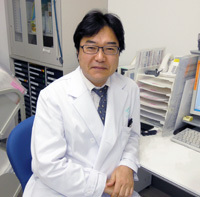 Board Certified Specialist, of the Japan Gastroenterological Endoscopy Society. Supervisor, of the Japanese Society of Clinical Pharmacology and Therapeutics. Director, of the Liver Cancer Study Group of Japan. Member of Grant Selection committee and councilor of the Kanto area, of the Japanese Society of Gastroenterology. Technical Advisor, of the Pharmaceuticals and Medical Devices Agency.